To all of my dear readers, I am back! You may have noticed that I have not put a single post up since the end of March and some of you may have seen my note on facebook. Yes, I am actively looking for a new job and please keep fingers crossed for me :”). Anyway, I am now back to my normal blog schedule. Geeee, I got a pile of files to be sorted from February and plenty of posts to be constructed. Let’s start with my last dining out experience. 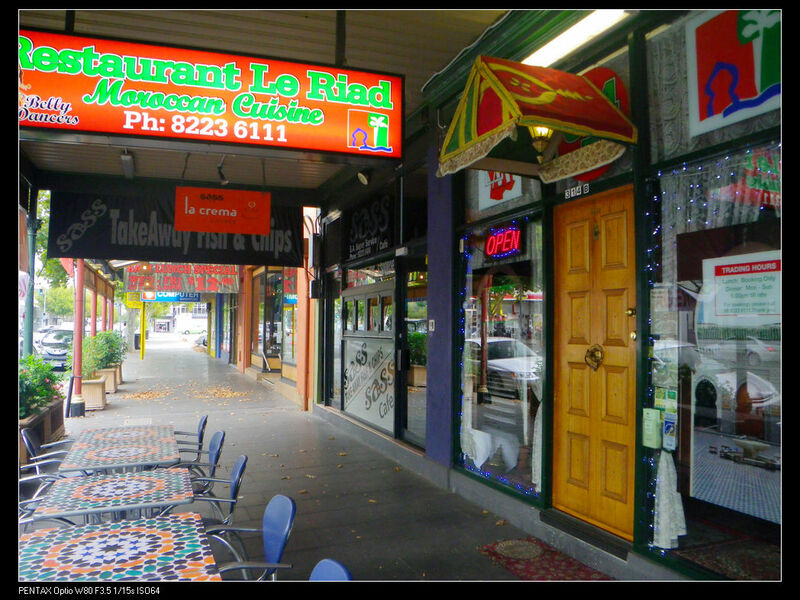 Le Riad Restaurant is one of the few places in Adelaide that serves moroccan cuisine and probably the only one in the city. Located on Pulteney street with a bunch of other small restaurant, the place has never caught my attention until a year ago. I was on my way home with my wife and I saw this spectacular belly dances. Since then, I decided to give it a go but due to various excuses, I wasn’t able to make my way there until several weeks ago. Unfortunately, we missed out on the belly dance as it was a Friday night. The inside decor of the restaurant is pretty much morocco influenced. The mediterranean styled decorations and north African type of music made the atmosphere to be relaxing although there wasn’t enough light to photo :P, but I guess the owner may have done this by purpose. 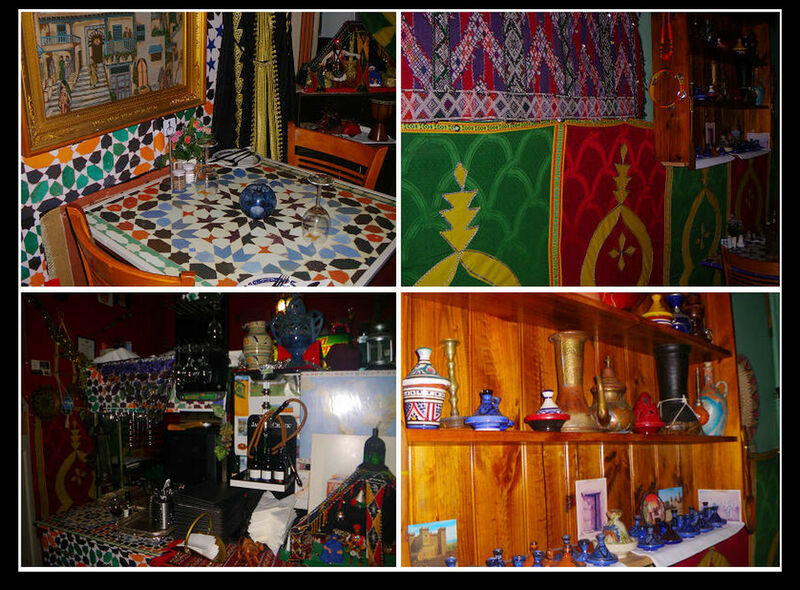 In the restaurant, the national culinary symbol of morocco, the earthenware pot for tajines, can be observed almost everywhere on the shelf. According to the owner, the place was operated as a family friendly restaurant. His whole family is involved by cooking, accounting and so on. Anyway, we were here for the food, right? Because I only had some moroccan food ages ago in Melbourne, I asked the owner to recommend some dishes. However, I got a response as “I love every one of them. Why don’t you start with some dips and then decide what to eat?” ehhhh, I don’t have the time to finish the dip round and then come back to the menu again basically. He realised my impression and recommended 4 dishes, including 3 tajines and 1 couscous. However, the dishes were overly saltiness. 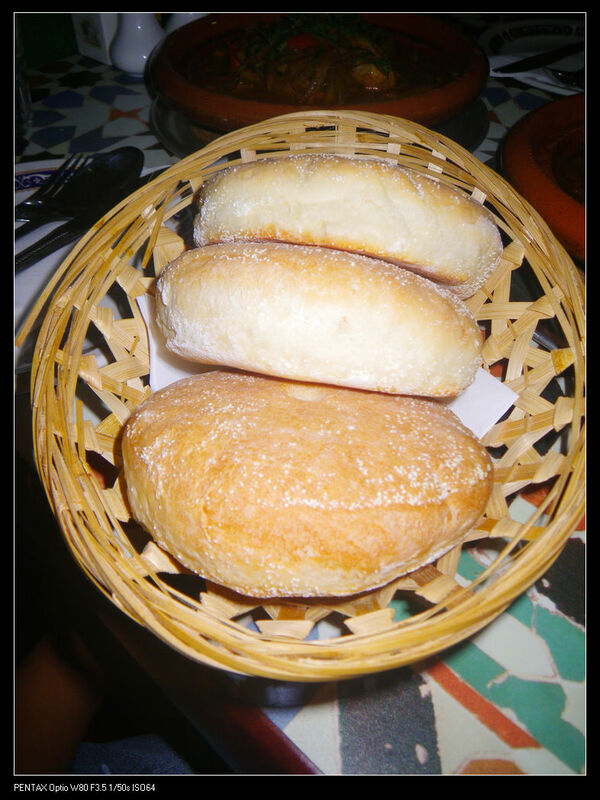 Every tajine came with a complementary bread and it actually tasted okay. The outside was a hard crust and inside was soft with strong aromas of herbs. 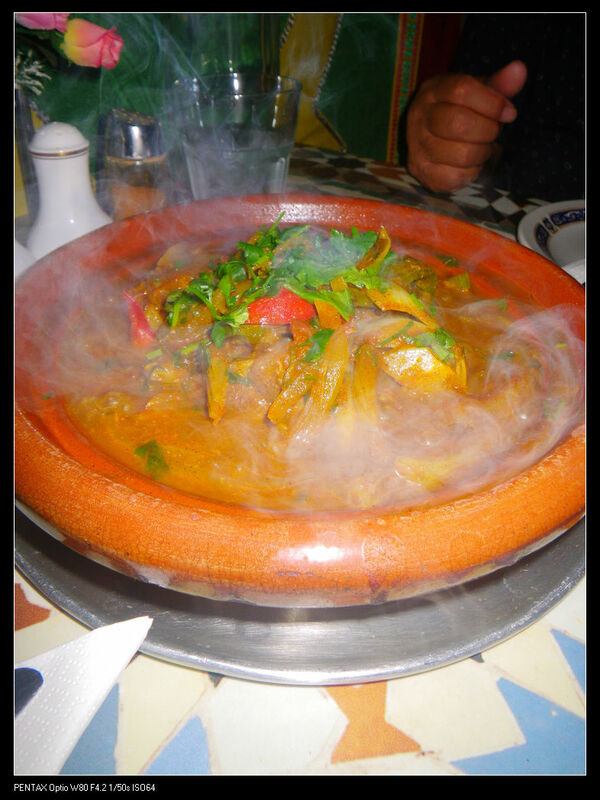 It would have paired with the dish very well if the tajine was not too salty. Meatball Taijine, $19. This is probably my most preferred dish for the night. The meatballs were tender and lean with strong aromas and tastes from the spices. Diners can expect to taste onion, garlic and herb sauces. However, the dish had two problems. One was too salty as I mentioned earlier and the other problem was being sour with too much tomato flavour. The bread was a good accompany to the dish. 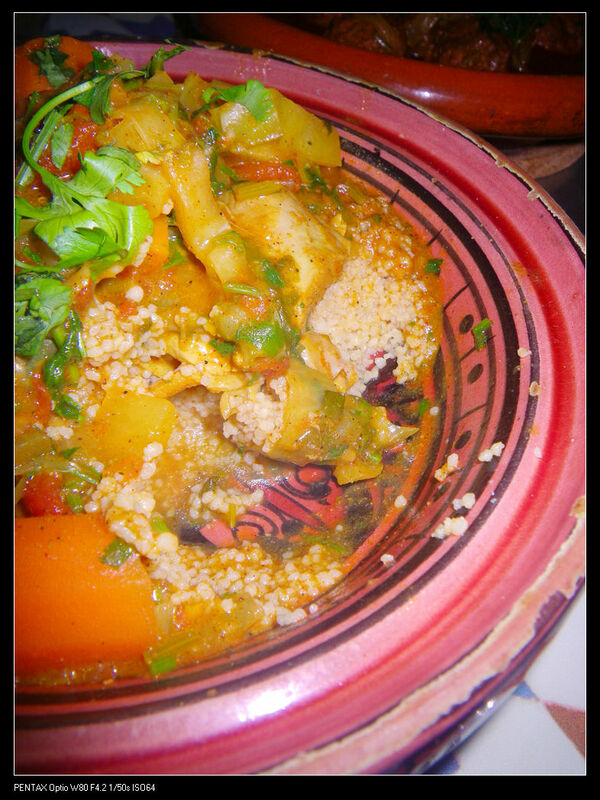 Lam Tajine, $19 & Goat Tajine, $19.90. 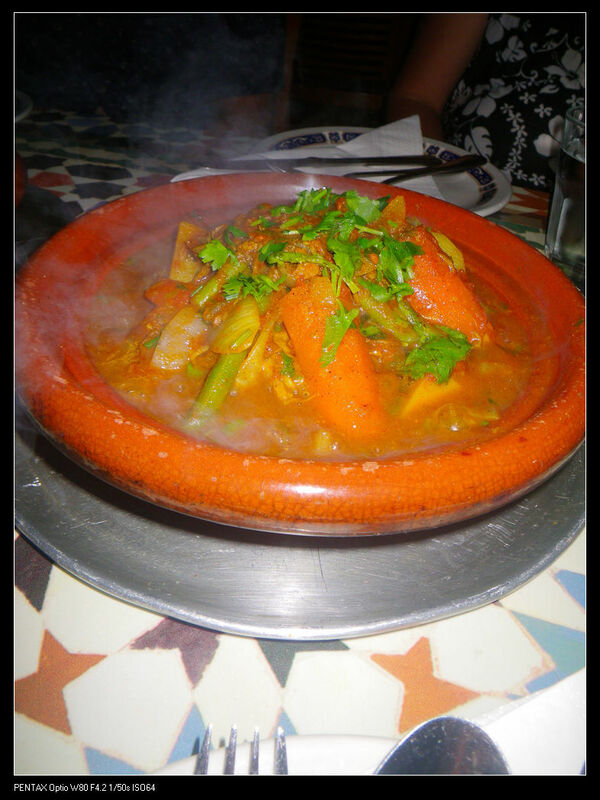 There were four pieces of chunky meat in each tajine and the rest were filled with a pile of mixed vegetables. In fact, I wasn’t able to taste anything different between these two dishes. The meat was well cooked but the distinctive flavours of the meat were completely covered by the spices. 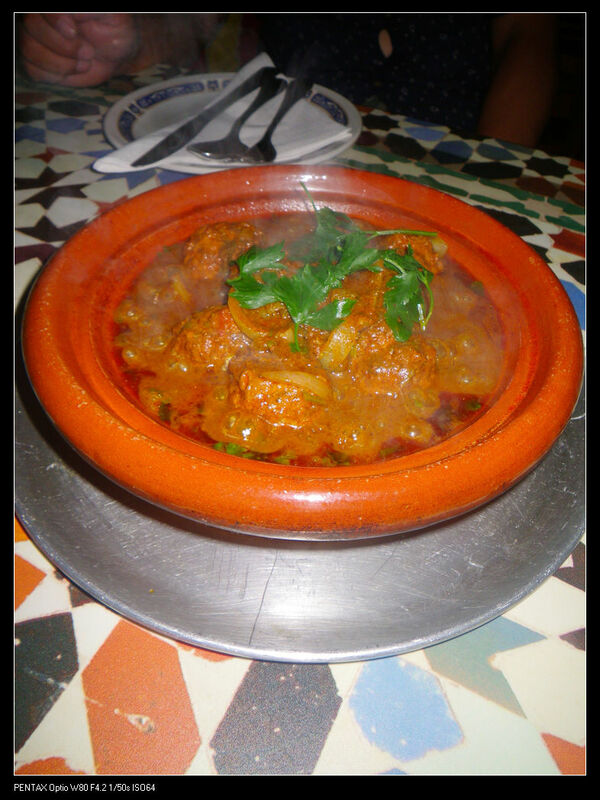 Same as the meatball tajine, excessive salt and tomato tastes were present. Lamb couscous, $19. Couscous is probably the most well known national dish of morocco. The couscous were steamed and covered with spicy lamb and mixed vegetables. In this way, all the spiciness has gone into the couscous, making it full of flavour in the mouth. However, tomato and salt were still the problems of the dish. Unfortunately I missed out. I should have gone there on a saturday night. Excellent review! Sometimes you have to be tough on these self managed restaurants! Had Rfissa – chicken with lentils , ginger, spices and specifically asked if it DID contain saffron as stated in the menu. I was attracted by the saffron and ginger and that it was served with “special” Raghifa bread. Absolutely NO SAFFRON or GINGER….the chicken was hunks of breast meat, lentils and what appeared to be halved (thin) lebanese bread. VERY DISAPPOINTING.